Every time we find a video of a miniature engine, we just can’t avoid it and not share it with you. Crafting a masterpiece like this demands real discipline and knowledge. What you see here is a Conley miniature V8 engine. This particular model sports the Stinger 609 name badge, which boasts 6.09 cubic inches and weighs 11 pounds. 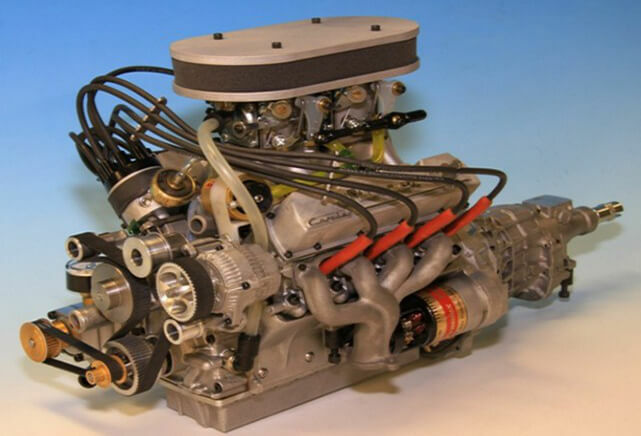 There are numerous innovative features on this mini V8, like the large oval shaped intake ports, “D” shaped exhaust ports, the dry sump pressurized oiling system and a full ignition system. The engine even has a user replaceable oil filter. This miniature engine models could be used in radio controlled cars and trucks, boats, and even airplanes. Bike Mine – the perfect invention that will scare off the thieves! Tesla Model X – The first electric SUV was finally unveiled! The other side of drifting: Best car drifting fail moments in one video!